Deforestation and forest fires, illegal hunting, nest plundering, electrocution and pesticides. 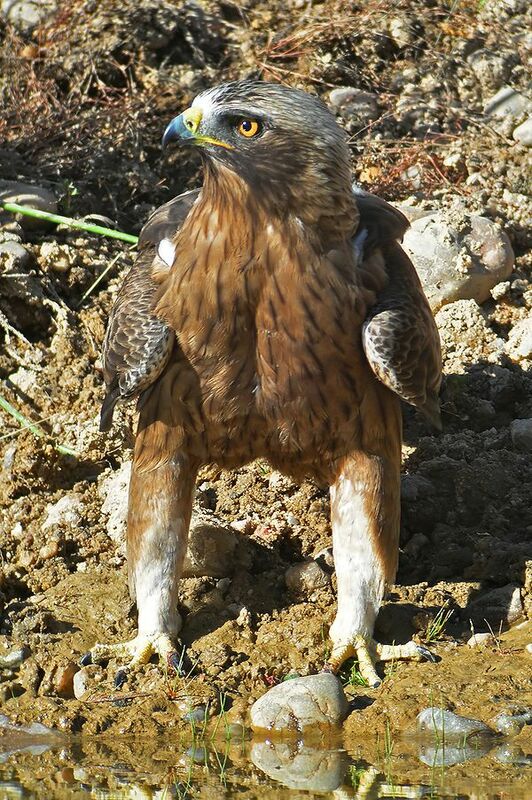 Identification: Medium-sized bird of prey with long and narrow wings and feathered tarsus. Two different plumages can be found: the most common is a light colour and the other is dark. Birds in the light stage have white feathers on their belly and their throat and breast are mottled, while their flight feathers are almost black and their tail greyish; in the dark stage, they are reddish. In both cases the bird's back is reddish-brown, the rump is white and the shoulder feathers light. Song: Very loud when breeding, with a strident "kree kree kree" cry. Diet: It primarily feeds on other small birds such as blackbirds, magpies, jays, common wood pigeons, partridges, and hoopoes. In areas in which rabbits are abundant, they are its primary food source; it can also eat an occasional reptile and, when other food sources are scarce, locusts and grasshoppers. Reproduction: The breeding period begins with a series of mating flights, after which the pair devotes its time to building or repairing the nest. They nest in trees and the platform is made of sticks and fresh branches. Eggs are laid between mid-April and May, approximately, and the female is responsible for incubation while the male brings food. The female is the one that spends most time caring for the chicks. It inhabits different forest areas, which it needs in order to breed, with open spaces where it can hunt nearby. In Spain: The most important populations are located in the central region of the peninsula and in some Andalusian provinces. In Castile and León: It breeds in all the provinces, with the largest populations in Segovia, northern Zamora and Salamanca, and southern Burgos. Movements and migrations: It is a species that migrates long distances. The postnuptial passage through the Strait of Gibraltar begins in September. Some young specimens make erratic journeys that take them to the northest of the peninsula. 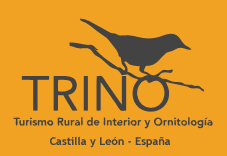 In Spain: There is an estimated population of at least 3000 breeding pairs. 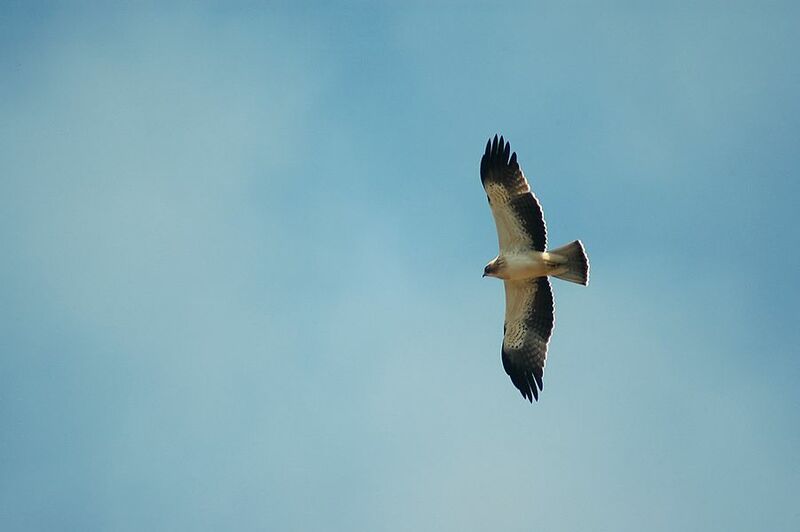 In Castile and León: There is an estimated population of 1100-1300 breeding pairs.